The rich cultural and religious Irish festival of St. Patrick’s Day is just around the corner and it’s the time of celebration and festivity. Some like to spend the holiday in relishing the delicious Irish food or cocktails while some other want to enjoy the day in the pub with whiskey and fun. The true essence of the St. Patty’s Day is in doing the colorful and revitalizing Irish dances. What are the Irish Dances? The St. Patrick’s Day is globally celebrated in March by the people of Irish descent, to commemorate one of Ireland’s patron saints St. Patrick’s efforts in bringing Christianity to Ireland. 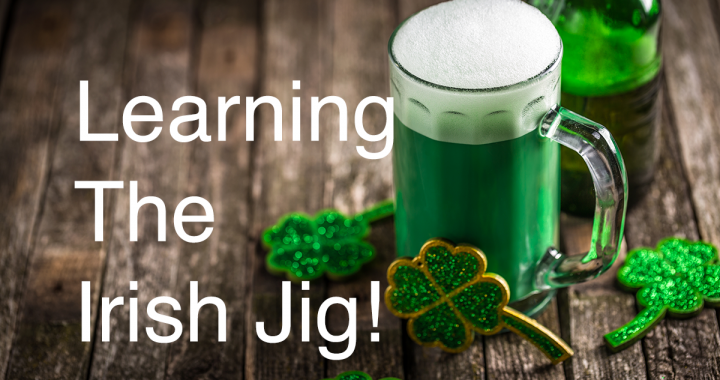 Apart from the other forms of celebrations related to this day, listening to Celtic music and enjoying the Irish dances are the primary part of the Irish culture. There are two specific forms of Irish dances; Figure dances and Solo dances. The solo dances need a lot of knowledge and practice for the dancers. Hornpipe, jig, reel, slip jig are various types of Irish dances and music. The figure dancing can be enjoyed with some elementary knowledge and little practice. These dances require the specific kinds of shoe, hard or soft shoe to perform properly. The group dances are also enjoyed which are less formal and they are usually done in the form competitions in the social gatherings on this festival. The Irish dancing is a prominent part of the heritage and culture of Ireland. There has been a great revival of Irish dancing in the past few years especially because of the immense popularity of the ‘River dance’. Many Irish children learn and practice the Irish dances as a part of their schooling and co-curricular activities which they perform on the major events like St. Patrick’s Day. These dances are properly learned by the skilled dancers and choreographed too but the true essence of these dances their ability to absorb the cultural diversity and uniqueness of individuality. The predominant feature of these dances is the simplicity, style, and grace. The new dancers are instructed to be natural, elegant, upright and relaxed. The figures and the steps of the Irish dances are to be taken accurately and precisely and this can be learned with the frequent practice. Many organizations and dance studios plan and arrange the pleasurable dance competitions for the beginners and the expert level dancers of the Irish dances. You can have great fun and entertainment by participating and practicing in the great dance competitions for the St. Patrick’s Day.